The International Consumer Electronics Show (CES) is the tech world's gathering place to showcase innovations and to set trends that will rule the hearts of millions worldwide. CES is held in Las Vegas every year and for more than 40 years has been the global stage for tech companies to introduce next-generation innovations. In 2015, the CES showcased innovati ons from more than 3,600 exhibitors. Fortunately, what happens in Vegas doesn't necessarily stay in Vegas. India is still far from full 4K television revolution, and mostly the problem is content. But tech companies firmly believe that 4K is here to stay. Thus came 4K Ultra HD TV showcases from major global television manufacturers. And by seeing the trend at CES 2015, the day is not far when manufacturers stop making 1080p televisions below 55-inches, opting for 4K Ultra HD TVs only in the larger category. Also, prices of these TVs are expected to drop this year. The 3840 x 2160 resolution revolution has started and India is on the map. Manufacturers like LG, Samsung, Sony and Sharp showed what all still can be done for the mother of all screens. LG and Samsung showed faith in the curved OLED display and they married the idea of curved display and 4K Ultra HD beautifully. Sony and Sharp stuck to the trusted flat display panels but reduced the thickness of the television by a mile. The new 4K Ultra HD TVs from Sony and Sharp were so thin that you can cut a Pizza into eight perfect slices. With major manufacturers backing the 4K revolution with ultra HD resolutions, this trend will lead the path for future displays for sure. 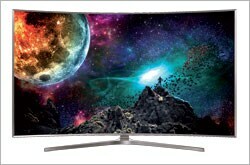 - LG: Last year, LG unveiled its WebOS TVs. This year, it has announced TVs running on WebOS 2.0. The OLED Smart TVs include 4k models and some of them will feature Harman/Kardon audio and LG's Ultra surround sound system. The 4k lineup features the company's WRGB technology, which it says helps deliver lifelike colours. LG has also introduced flexible, curved and flat TVs. - Samsung SUHD TV lineup: Samsung has announced the SUHD TV lineup that will run on its Tizen OS and also uses its nanocrystal semiconductor technology. These Tizenbased smart TVs will feature more than 700 apps. It will come in three series - JS9500, JS9000 and JS8500. These TVs will be available in different sizes - 48 inch to 88 inch. The 'S' is said to represent the top-end smart TV models from the company. These TVs will also have Samsung's Chamfer bezel design. 7680Ã—4320 resolution. 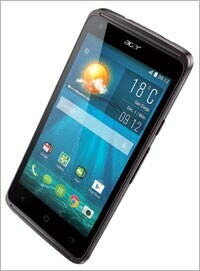 - Acer Z410: An affordable smartphone that caught our eye was the Liquid Z410 smartphone. This device will be available in Europe, Middle East, and Africa in February-end for â‚¬129. It will have a 4.5-inch display with Android 4.4.2 and will support 4G LTE (Cat. 4) connectivity. - Asus ZenFone 2: It's not always the flagship smartphones that make the news. Asus's ZenFone 2 is once such device that created a buzz. Expected to be available by March, the $199 handset will be the first smartphone to have 4GB RAM. It will be powered by a 64-bit Intel Atom Z3580 quad-core processor clocked at 2.3GHz. The company also announced Asus ZenFone Zoom with a price tag of $399. - Lenovo Vibe X2 Pro: The Chinese brand is always in the news for its laptops and tablets. 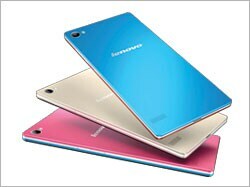 This year the company has also announced some interesting smartphones - Vibe X2 Pro and Lenovo P90. The Vibe X2 Pro is the successor to the recently launched Vibe X2. It will be powered by Qualcomm Snapdragon 615 quad-core processor clocked at 1.5Ghz. It will have 2GB of RAM, 32GB onboard storage and 13MP rear camera. The P90 will be the company's first device to run on a combination of a 64-bit Intel Atom Z3560 processor (2MB Cache, 4-Cores, 4-Threads, 1.8GHz Burst Frequency) with Intel's 5-mode XMM 7262 modem. - LG G Flex 2: The only flagship smartphone announced at the CES was the LG G Flex 2. Successor to the G Flex, this one too has got a curved body and display. it features a 5.5-inch touch display and a self-healing back panel coating that prevents it from scratches. It will be the first smartphone to be powered by Qualcomm MSM8994 Snapdragon 810 and will run on Android Lollipop operating system. - Smartwatch: Alcatel One Touch has announced a smart watch that supports Android as well as iOS platform for sending notifications. The watch has got a USB port on the strap. Expected to be launched in March, it will be priced at $150 and claims to offer two to three days of battery backup. Withings Activite Pop is also a great device. Priced at $150, this one has got a waterproof silicone band. It connects by Bluetooth to the Withings Health Mate app (iOS-only) and diagnoses your sleep performance with a replaceable battery that can last up to eight months. - Connected Cars: The biggest gadget that one can own is a car. And when an automobile starts thinking on its own, it's an altogether different world. At the Las Vegas Convention Center's North Hall, major auto giants like Ford, Volkswagen, Mercedes, Audi, Hyundai, Toyota showcased what was their idea of a connected car. The range varied from self-driving cars, to self-parking cars to cars with voice recognition. Ford, which in India at least started it all with Sync in its Eco Sport and then Sync 2.0 with AppLink in the Fiesta, came out with Sync 3.0 at the CES 2015. AppLink provides mobility solution apps for drivers along with voice recognition so that the driver is not involved with the infotainment panel much but rather concentrate on the road. Another interesting connected car was the Volkswagen self-parking car. The electric Volkswagen hatchback could memorise the track from driveway to parking and the driver can, just with a tap on their smartwatch, park their car. - Virtual reality: After Facebook acquired Oculus Rift, it was expected that tech giants will venture into the field of virtual reality (VR). Not only did Oculus demonstrate its latest tech at the show but companies like Samsung and Google showed how easy it is to transform a smartphone into a immersive VR environment. The modern smartphone has sophisticated cameras and some even have 3D imaging technology in them. Samsung was seen taking advantage of this and integrated the Galaxy Note 4 into its virtual reality tech solution. Software makers and even filmmakers were seen showing interest in this future. There were also seen trying to come out with ways for users to create their own VR experiences. - Internet of Things: We live in a very connected world now. About five years ago, automated homes were just a concept, now they are a reality. And with automated homes and connected lifestyle everything that you can see around you is connected via technology that is in the palm of your hand (smartphone). This has generated the idea of 'Internet of Things' (IoT). From refrigerators to home lighting, from security cameras to home entertainment, everything is connected now. Samsung and Panasonic showcased the idea of smart living at the CES 2015. IoT is here to stay and grow with Apple's homekit and Google's Nest being the key drivers.